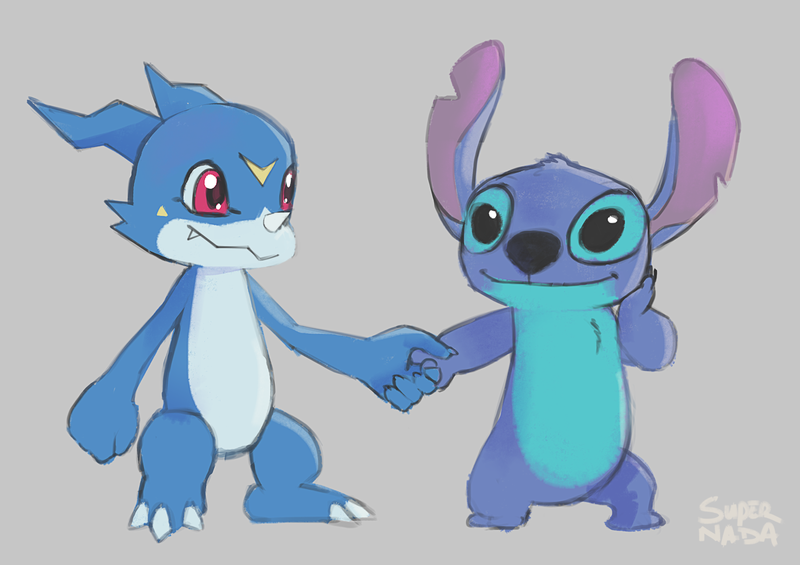 A better version of the image I did of Veemon and Stitch holding hands. I know a good gay story, try reading https://inkbunny.net/OPomnipotent. I love a story that is unique like yours.